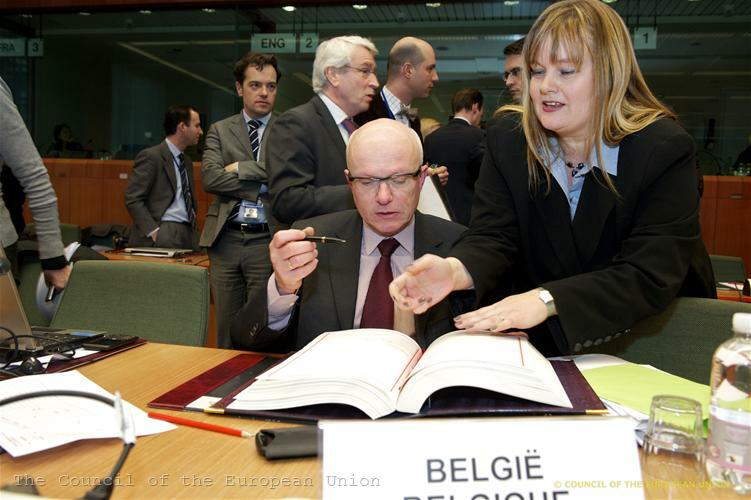 On 2 February 2012, in Brussels, the ambassadors of the eurozone countries officially signed the Treaty on the European Stability Mechanism (ESM). 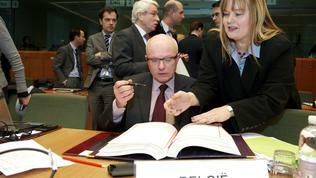 The text of the treaty was finally approved by the EU leaders at their meeting on January 30. The fund will start functioning from July 2012 and will be able to provide loans to its members, precautionary financial assistance, to purchase sovereign bonds and provide loans for recapitalisation of financial institutions. The recent amendments to the text allow the fund to decide on granting financial assistance in certain circumstances with a qualified majority of 85%, instead of the usual unanimity procedure. A link was also established with the new Treaty on Stability, Coordination and Governance in the euro area, stipulating that the ratification and adherence with this treaty are preconditions for receiving financial assistance from the ESM. The ESM will have subscribed capital of totally 700 billion euros, of which 80 billion euros will be paid in the form of contributions by the Member States and the rest - in the form of guarantees. The initial maximum lending volume of the fund, together with the current temporary bailout fund (European Financial Stability Facility, EFSF), was limited to 500 billion euros but the leaders pledged to reassess whether it is still adequate at the European Council meeting on 1 March. In recent months, European leaders have been under pressure to increase the ‘firewall’ against spreading of the crisis by increasing the financial capacity of the rescue fund, moreover after the credit rating agency Standard & Poor's has downgraded nine euro area countries, including two with the highest AAA rating and therefore it has also downgraded the bailout fund EFSF. Last November the eurozone finance ministers approved new tools for the fund, aimed at increasing its financial capacity, but they have not been used yet. As EFSF Director Klaus Regling explained there is no way to test the new tools unless financial assistance is requested by a Member State. According to the analysis, the limit of 500 billion euros of both ESM and EFSF, which will run in parallel after July, is insufficient to ensure the fulfilment of all their features, particularly the recapitalisation of banks. The size of the fund should be doubled (to 1 trillion euros) which could be done in several ways: by giving to the EFSF a banking license so the fund be allowed to borrow from the ECB, the fund to be financed again by the ECB but through the IMF, which is a bank, or to attract sovereign wealth funds (through the IMF). OECD argues for the need for more money in the bailout funds with the necessity banking and debt crisis in the euro area to be "solved simultaneously, or neither will be solved." The paper specifically notes that recapitalisation of banks must be accompanied by cleansing of their balance sheets because European banks are not only poorly capitalised but they also mix investment banking with traditional retail and commercial banking and this is interacting with the sovereign crisis in a dangerous way. Therefore, the OECD recommends these activities to be separated. This is also the reason why big banks are largely exposed to sovereign debt of countries like Spain and Italy, so "any concern about solvency immediately transforms into a liquidity crisis." The European Central Bank should continue to support economic growth and investor confidence by providing term funding for banks and limiting the debt cost of several key countries. The EU has been debating for months how active the ECB should be, especially in terms of sovereign debts. Many have called for a more decisive role of the institution and the bank's president Mario Draghi has stipulated the signing of the fiscal pact by the member states so as to ensure budgetary discipline and commitment to a fiscal union. Quietly and without any demonstrations the ECB has so far bought eurozone debt worth 200 billion euros, according to the OECD,. The Greek problem must be solved once and for all by completing the deal with private creditors to write off 50% (or more) of the value of Greek debt. However, the OECD warned, it must be recognised that this would not be the last case because "some countries cannot reasonably be expected to meet new fiscal goals without debt haircuts". 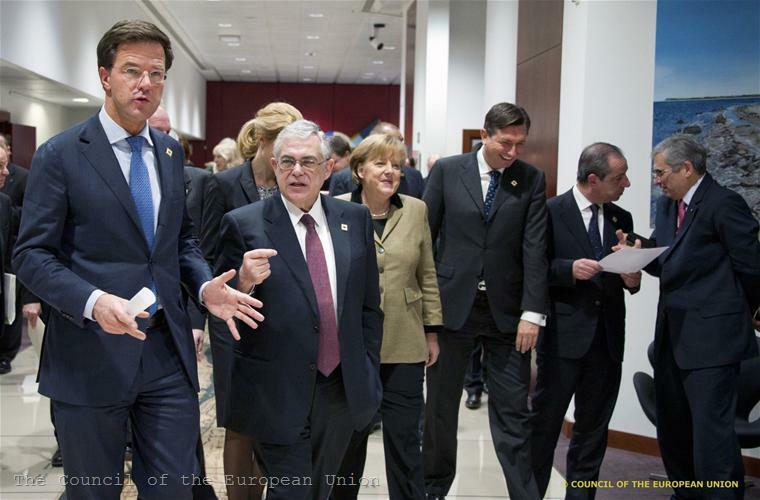 The spell that Greece will remain a single case is one of the most frequently repeated by European leaders. Even European Council President Herman Van Rompuy admitted bluntly that this approach to private investors was wrong and had worsened the debt crisis. Politicians, the OECD recommends, should balance fiscal consolidation with a growth strategy and achieve long-term "fiscal compact" complemented by structural reforms, including bank restructuring and recapitalisation, labour and product market competition, and pension system reform. "Without a growth strategy, the banking crisis is likely to deepen and the sovereign debt problems will worsen." At the last European Council the leaders have identified measures for growth and employment but these could hardly be called a strategy. Measures will be developed and implemented at national level and although the European Commission warned that it would closely monitor the process, it is likely to befall the fate of the Euro Plus Pact which remained simply an ambitious wish, without actually being implemented. The reason of course is the reluctance of member states for closer coordination in some sensitive areas subject to national sovereignty, such as taxes, pensions or social systems. As stated in the OECD paper, "what makes the situation in Europe so difficult to deal with is that there are conflicts in policy objectives and all of the main players have very different agendas." Obviously it is high time for a common agenda but, as euinside wrote, to that end national sovereignty should also be reconsidered. 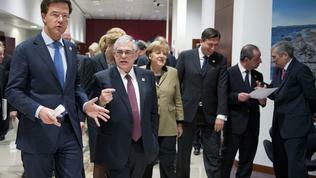 Otherwise no rescue fund will be sufficient to pay the price for saving the European Union.